Fractional Laser Resurfacing is the latest technology for minimal downtime skin rejuvenation. 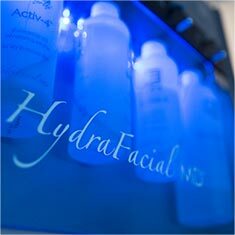 It can be used to treat wrinkles, fine lines, large pores, acne scars, pigmentation and general sun damage. With treatment the skin has improved texture and tone and a more even youthful appearance. The Smartxide DOT fractional CO2 laser system delivers dots of laser energy to the skin in a precise pattern of points with the spacing and intensity of the dots varying, depending on the conditions being treated. As only a fraction of the skin surface is removed during each treatment (usually between 5-20%) healing can occur from the islands of untreated skin and takes place over a matter of days rather than many weeks as is the case with full resurfacing when the whole skin surface is removed during a single treatment. The thousands of tiny thermal injuries produced by the laser, stimulate collagen synthesis as part of the healing process. This results in an improvement in skin tone, a reduction in fine lines and wrinkles and a more even, youthful appearance. Fractional Laser skin resurfacing can be used to treat the general aging of the skin that occurs from the passage of time and the effects of the Australian sun. This includes uneven pigmentation, large pores, dull tone and loss of elasticity. Fine lines and wrinkles, particularly around the eyes, upper lip and mouth can be effectively treated and substantially improved over a course of two to three treatments. The treatments are spaced three to six months apart and results are then assessed six months after the final treatment. The skin is tightened by the effect of the laser energy on the collagen fibres in the dermis causing an immediate contraction and then increased stimulation of collagen production occurring over at least six months after the last treatment. Either the whole face or selected small areas such as the upper lip and mouth or the eyes can be treated. The skin is thoroughly cleansed of all makeup and sunscreen and pretreatment photographs are taken. A local anaesthetic cream is then applied for about 60 minutes prior to the procedure. This is then cleaned off and the skin carefully dried. A mild painkiller or sedative can also be given 45mins prior to the procedure if necessary. If the patient has any history of cold sores antiviral medication must be started prior to the treatment. The laser is used to slowly and carefully scan the entire surface of the treatment area with equally spaced dots. The procedure takes approximately 1 hour with some areas treated with a second pass of the laser to increase the intensity. Platelet Rich Plasma (PRP) is then applied to the treated area followed by a occlusive silicone gel and cold air can be blown onto the skin to ease discomfort and reduce swelling. For the first 2 days the treated area should be gently cleansed every 6 to 12 hours and further layers of silicone gel applied. Ice can be used intermittently during the first day and over the first night to ease discomfort and reduce swelling. The patient should limit physical activity for 1-2 days after the procedure and avoid lying flat to reduce swelling around the eyes. By the third day the worst of the swelling should be settling and peeling may have started. Post peeling the patient can start using makeup over the silicon and men can start shaving. Shedding of the dots will occur from day 3-5 after the procedure and should be allowed to occur naturally with no picking or exfoliation. Men should refrain from shaving for about 3-4 days depending on the intensity of the treatment and when the dots all peel off. Depending on the intensity of the treatment 2-3 days of redness and swelling can be expected which can be quite marked particularly around the eyes. This then gradually settles over the next 3-5 days with the patient being largely back to normal by 7-10 days. At least 3 and preferably 4-7 days off work should be anticipated but makeup and shaving can resume after the dots shed. Continuing improvement in the skin can be expected for at least 6 months after the final treatment. Transient Post Inflammatory Hyper Pigmentation (PIHP) of the skin can occur after laser resurfacing of more olive skinned people particularly if excessive laser energy is administered and so a lower intensity treatment must be used. If PIHP occurs it is usually temporary and can be reduced by pre and post treatment with pigmentation inhibiting creams. Full laser resurfacing involving the ablation of the entire skin surface has in the past been associated with permanent hypopigmentation or paleness of the skin sometimes occurring many months after the treatment. This is thought to be due to the destruction of all the pigment cells in the skin at one time with none left to repopulate the area. This has not been reported with fractional laser treatments as only 5-30% of the skin surface is removed at any one treatment and therefore the surviving pigment cells in the untreated skin can divide and repopulate the healing areas. Cold sores can be triggered by laser resurfacing and if the patient has any history of these, even many years in the past, prophylactic antiviral medication is given prior to the procedure. Pimples, milia and acne like outbreaks may occur after laser resurfacing treatment but they are uncommon, usually mild and easily treated with either topical creams or oral antibiotics. Local anaesthetic cream applied 45-60 mins prior to the treatment substantially reduces any pain or discomfort associated with the procedure but some heat may be felt around the edges of the face eyelids and upper lip. Multiple passes with the laser increase discomfort and oral painkillers, local anaesthetic blocks and nitrous oxide (laughing gas) can be used if this is planned. Cooling with ice during and after the procedure is also very effective at controlling any burning or hot sensation in the skin. The cost for this varies depending on the extent of the treatment required. Pricing can be discussed with Dr Williamson at a consultation.